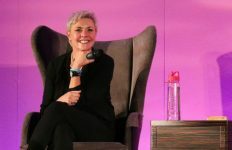 The franchise's first panel in seven years will celebrate the 20th anniversary of Stargate SG-1. For the first time in seven years the Stargate franchise is returning to San Diego Comic-Con, with a special panel event. 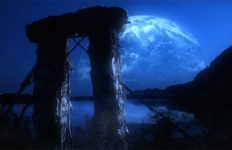 It’s been 20 years since Stargate SG-1 premiered and almost 25 years since viewers took the first interstellar trip to an ancient world with the original film. 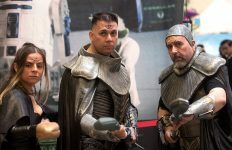 Join Damian Beurer (Host, Legion M co-founder), David Read (GateWorld), and special guests as the gateway reopens to celebrate the fandom, and explore the next chapter in the Stargate universe. With exclusive news, sneak peeks, and giveaways, devoted Stargate fans and new fans alike will prepare to embark on a new journey. What sort of news may be forthcoming? Your guess is as good as ours right now, but also note two other panelists announced today: Sam Toles, who is Senior Vice President of Digital & New Platforms at MGM, and Kieran Dickson, Stargate Consultant & Editorial Director. Stick with GateWorld for any and all news coming out of the July 20 event! If you can’t make it to Comic-Con, you’ll want to keep your browser locked right here for the latest intel. Thank you very much Gateworld(and MGM) for the great news about Stargate’s comeback to San Diego Comic-Con(and hopefully to TV/Movies). I hope the exclusive news are about the continuation of Stargate. Stargate deserves a sequel and it certainly doesn’t deserve the reboot that Devlin/Emmerich were planning to do. I hope they continue SGA or SGU or create a new series(or series of movies) that combines elements of the three series. Please MGM/Syfy/Netflix/anyone bring back Stargate. I also would like to see fresh Stargate material. However, my first priority would be to give some kind of ending to SGA and SGU. I’m so angry they left them on cliffhangers. I’m not necessarily opposed to reboots but, don’t do it before finishing or closing up the cliffhangers from the original stuff. Well there’s little to go on here, but I hope it means there will be a future for Stargate. There a lot of Stargate fans out there, but I feel like we get so little love or attention. It’s slowly fading away. Very curious to see what this about! 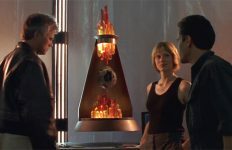 is also broadcasting SG-1, for the second round full series. I assume it is being syndicated again, which stopped a year after SG-1 ended. Since SGU stopped being syndicated only MGM network affiliates (THIS and Comet ) aired Stargate Franchise shows. Maybe this will help reinvigorate the interest in Stargate and something new will eventually come of this. I about guarantee its going to be a disappointing announcement. The only way it wouldn’t be disappointing is if its a new show, but the odds of that happening are slim to none. 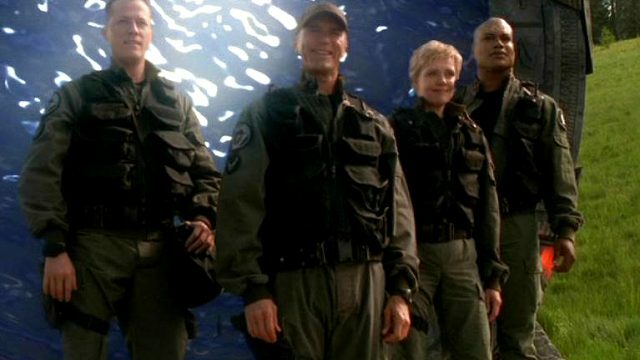 I’d love to hear about a new show in the SG-1 canon universe, but I’d still be happy if we get the SG-1 blu ray complete series. A new series or a mini-series about an end to SGA are the only two options that would make me happy…everything else will be disappointing. I must say with so much time passing I have slowly been losing all interest in Stargate. I have rewatched SG1/SGA so many times that even they aren’t interesting anymore.